Beginning on January 1st, California and Illinois-based employers are no longer allowed to demand access to the password protected social networking accounts of employees. The prohibition extends to requests for any non-publicly available information from employees, job candidates, or students. A new Michigan law that went into effect in December penalizes educational institutions for expelling or denying admission to students who refuse to share private account information regarding private email accounts and social network profiles. 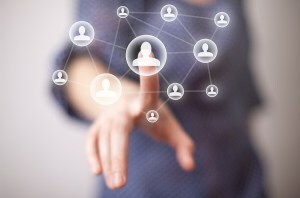 Publicly posted social networking is not covered under the new laws and employers are within their rights to access such information when making employment decisions. Employers argue that access to social media accounts is necessary as a matter of corporate security and legal liability, but employees counter that such requests are blatant invasions of privacy. As more employers began implementing policies demanding passwords to personal Internet accounts, legislators also began creating new laws to protect employees from being fired or refused employment for denying access to private accounts. Many public colleges and universities have also begun requiring access to private data as a prerequisite to admission or continued enrollment. California, Illinois, and Michigan are just the newest three states to enact legislation protecting the privacy rights of employees and students from what is frequently being viewed as an abuse of power and an invasion of privacy. Other states with similar laws already on the books include Delaware, Maryland, and New Jersey.